As well as Beginner's Crochet, Brilliant Brioche and the life changing Finishing Techniques. 6th November - Thrilling Thrums! Brioche can seem a bit baffling. Janice's Meredith sampler scarf takes you through the basics (barking and burping) into the more complex two colour designs. Move at your own pace and make a lovely sampler of different techniques - and turn it into a scarf. All materials are included in this workshop, including detailed notes for you to take away. Our amazing Learn to Crochet workshop will teach you the basics - from a foundation chain to making a corner in a granny square. All materials are included and our tutor Dorothy provides detailed notes too - to crochet a crochet hook case and face cloth. Thrilling Thrums! is a new course developed by Janice. 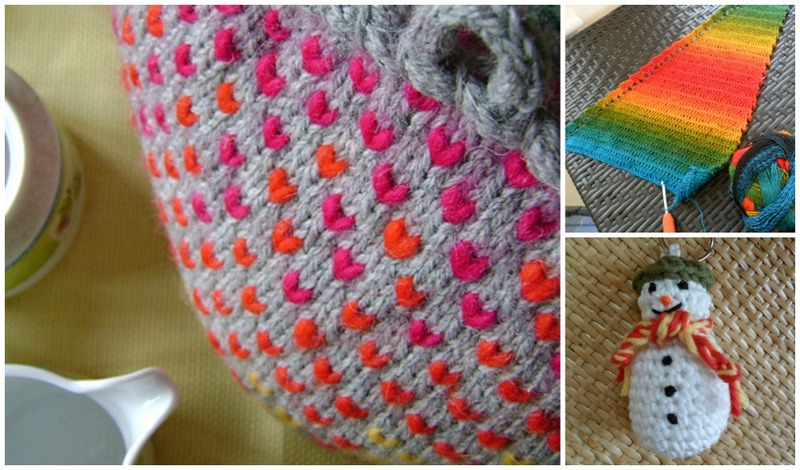 Make a cute tea cosy and learn how to thrum! and yes it does need the exclamation mark. Thrums! are pieces of roving that are knitted into your project every so often. It makes the item warm and cushy and provides an interesting texture on the outside too. For our workshop you'll make a tea cosy. Learn how to prep your thrums!, work with them and make up your cosy with some decorative finishing techniques. As usual, all materials are provided. Well Heeled is our first advanced sock class (watch out for Tip Top Toes! early next year). In the workshop you'll learn how to work an afterthought heel and a short row heel. And the advantages and disadvantages of each. There will also be a chance to talk modifying patterns and getting the best fit for your foot. I have seen the notes and they are detailed! You will need to do some homework for this class - more details on our workshop page. Please note this is not a beginners class. 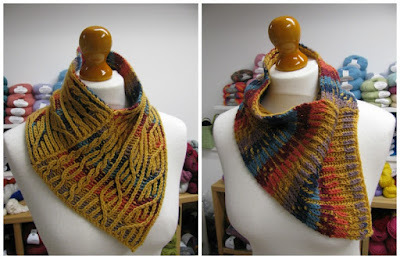 Crocheted Shawl, 3 ways is a new half day workshop from Dorothy. 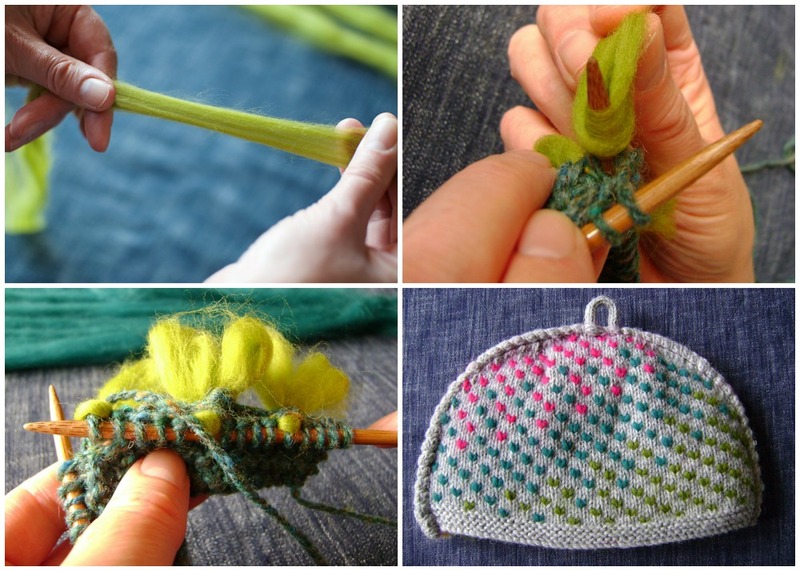 If you know crochet basics then this is a great next steps workshop for you. You get to choose a some 4ply/sock yarn and which shawl you want to make (but you get all 3 patterns to take home). Two shawls start in a corner the other starts at the center top. These versatile patterns could be easily worked in different yarns - solid or semi solid and you could also experiment with different thicknesses too. 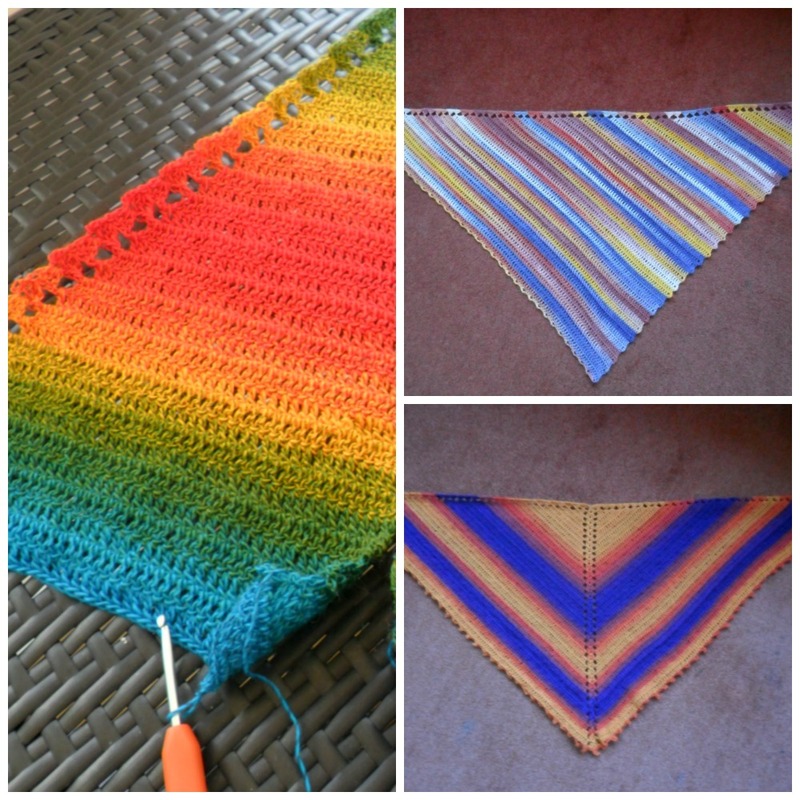 A perfect go to crochet pattern! Amigurumi Snowman - another half day workshop and super cute and timely too! Yarn, hook and key chain provided along with detailed notes. This is a beginners Amigurumi workshop - a great next step after learning the basics. Finishing Techniques - Our best selling class - learn how to finish those knits so they look handmade with love, not homemade with despair! As usual spaces are limited to 6 on each workshop. We do require payment at the time of booking. More details and prices can be found on our workshop page.